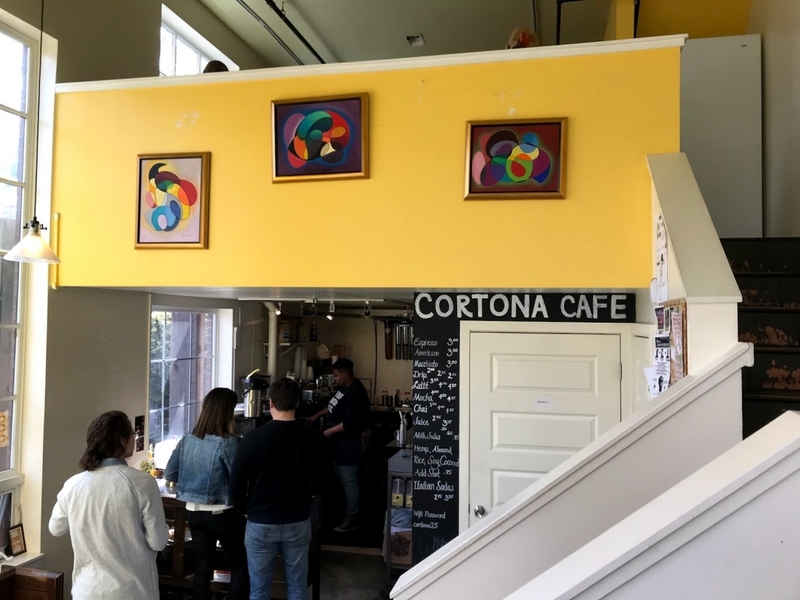 One of the few Black-owned businesses remaining in the rapidly changing Central District, Cortona Café is a neighborhood jewel. Friendly owner Isolynn “Ice” Dean prepares outstanding Herkimer coffee and mouth-watering waffles with the utmost warmth and care. 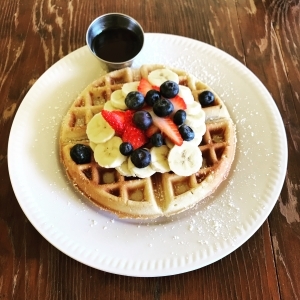 In 2013, Isolynn “Ice” Dean was planning on moving to Thailand for a few years when she switched gears to take over her brother’s coffee shop, Cortona Cafe. At 25-years-old “I had no concept of what I was doing,” Ice recalls with a laugh, but “I had all of these ideas.” She built a parklet outside the cafe and hosted restaurant pop-ups that were exciting and great for business, but didn’t quite strike the right tone with some members of the community. “I’m not from Seattle; I didn’t grow up around here,” Ice adds. So, after listening to feedback, she began focusing her energies on supporting folks from her community with diverse backgrounds. The importance of community at Cortona is palpable. Flyers for community events, groups, and meetings occupy a packed bulletin board, and local magazines are stacked near the door. Ice waves at friends through the large front windows, and makes conversation with every customer who walks through the door. “Neighbors who didn't know they were neighbors have met here. People have found housing or gotten promotions, because they met at Cortona Cafe,” says Ice. 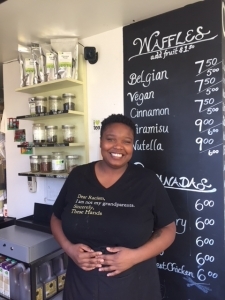 She is proud to be “providing a space people feel so comfortable in.” While many customers take their drinks to go, others read, work, and relax in the upstairs seating area (which can be rented for community gatherings). “For the routine people, it’s one of those rare spaces where…people actually talk to each other,” Ice remarks. 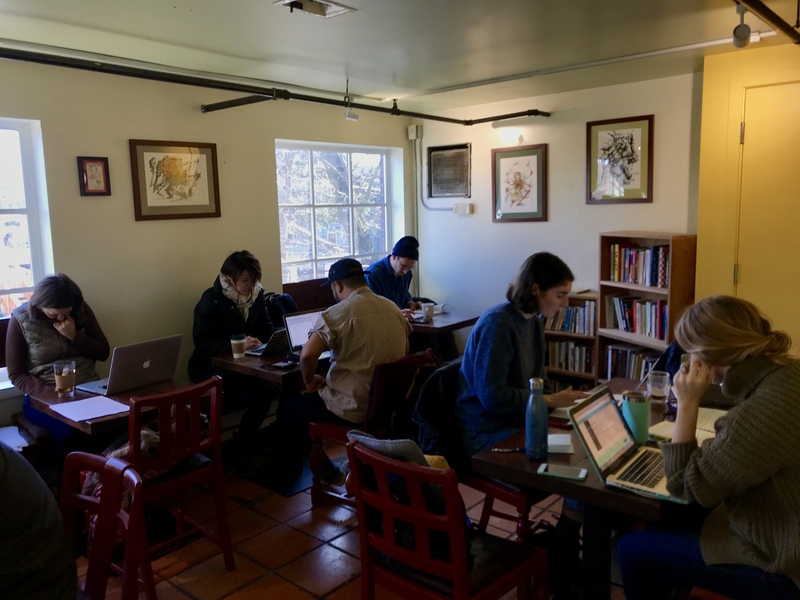 These types of spaces are “not common, period, these days, and definitely not in Seattle.” Ultimately, at Cortona Cafe people connect with people, and that is what makes it so special. 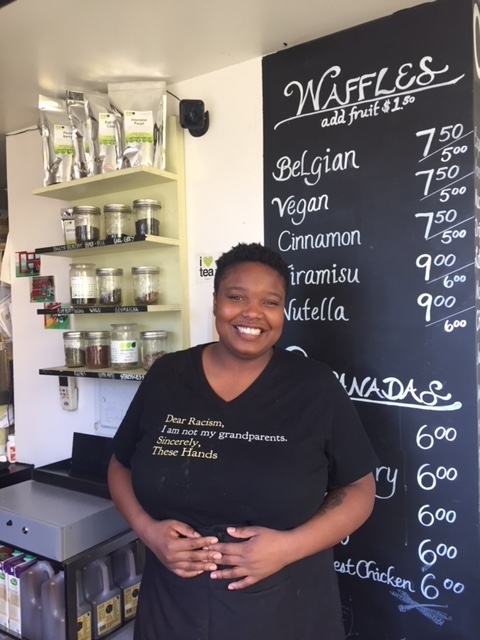 Ice takes pride in sourcing her menu items from local vendors, including Herkimer Coffee, Brown Sugar Bakery, Rapa Nui Foods, Power Yummies and Golden Wheat Bakery.